Paul G. Harris (ed. 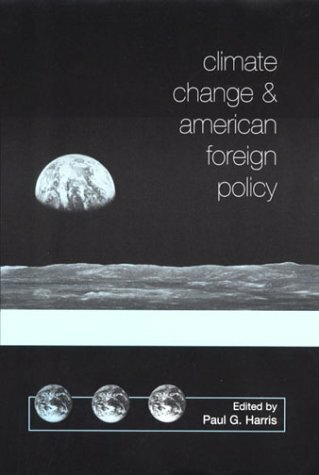 ), Climate Change and American Foreign Policy (St. Martin’s Press, 2000). Climate Change and American Foreign Policy examines the actors, institutions, and ideas shaping US policy on climate change. This, the original hardcover of the book, begins by introducing the issue of climate change in the context of US foreign policy, before critically evaluating US policies and actions. It analyzes the domestic and international politics of US climate change policy, covering such issues as science, the presidency and Congress, non-governmental organizations, diplomacy, and the international negotiations leading to the Framework Convention on Climate Change and the Kyoto Protocol. The book concludes by looking at the role of international norms in shaping US climate change policy.